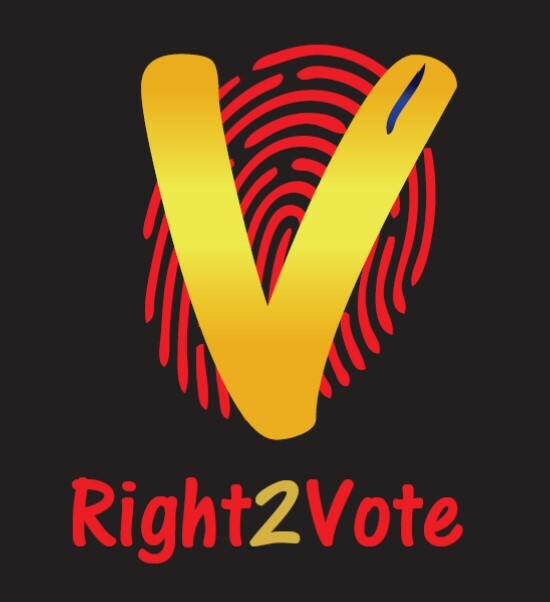 Right2Vote is a pioneer in mobile based online voting technology in the country. It has gained substantial popularity among Government departments, Associations, corporates, clubs, colleges, social groups due to its ease of creating and managing elections online. It already has an impressive list of awards in its tow. It was recognized as one of the innovative startups by Department of Industrial Promotion and Policy, Government of India, awarded for Mobility Solutions for eGovernance by HD Chamber of Commerce. It has also finished as runner up in Eureka by IIT Bombay – Asia’s biggest startup contest while also qualifying for incubation program of Nasscom 10000 startups, recognized as the most Innovative startup of 2017 by IIM Calcutta. It was also selected as one of the best startups at Get Funded event of i5 Summit of IIM Indore & IIT Indore. It also received the Bombay Management Association Award for upcoming startup. As part of the Live industry project offered by Ivy Professional School in its Data Science and Machine Learning Certification course, students are exposed to live Industry cases which provide them with an opportunity to implement their skills one on one and to be industry ready while still learning the latest business tools. This project added the extra edge giving an opportunity to students to even showcase their team work and leadership qualities amongst the technical skills. It provided a perfect platform to test the analytical and research skills of budding analytics professionals. Speaking on the topic one of our students who has been placed at Nielsen recently, Yash Agarwal said and I quote .. “Industry cases provide opportune moments to apply our learnings alongside getting to know the latest trends and when a company like Right2Vote teams up with Ivy, we know we are at the right place”. The contestants were not expected to do any primary research although they were certainly expected to back the findings of their report with data and logic. Customer Demographic Analysis and analysing the gaps in the matket place. Comparison with international voting market – how the markets have evolved, how they are structured, who are the players, what is the size, what is the price customer is willing to pay etc. We received a massive response with 69 Entries in total with each of them containing some interesting business cases. Out of all, two best teams made the final cut. 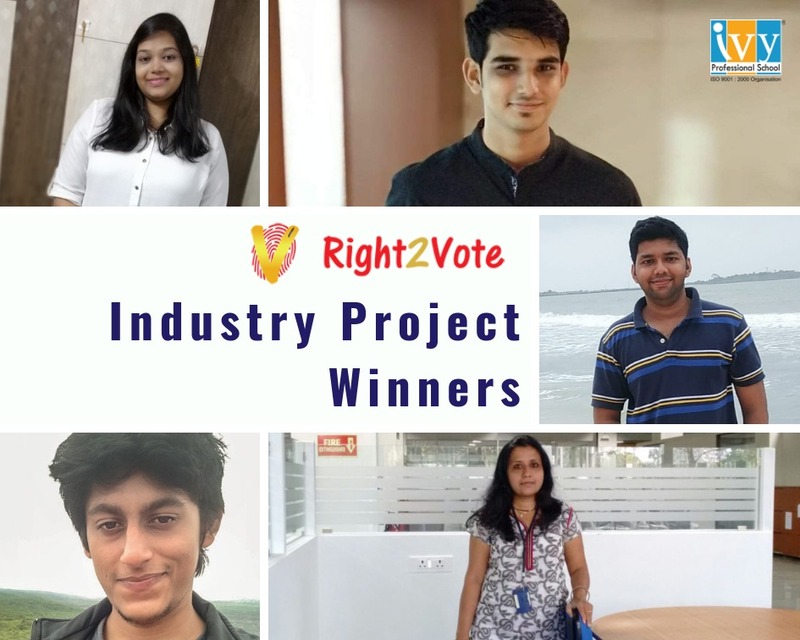 The winners were rewarded for their hard work with certificates, cash prizes of INR 5000 and also an opportunity for the coveted internship with Right2Vote. “The aim of this project was to nudge the participants towards analysing the online voting industry in a country there is very limited study or research done on online voting as a business or an industry….It would give them a broader perspective on how they can use their Analytical skills sets in a completely unique environment.” says Prateek Agrawal, Director, Ivy Professional School. Get a chance to be a part of such interesting cases and more. Join Ivy Professional School today and take the next step forward in your Analytics career as now you can pay while you earn.